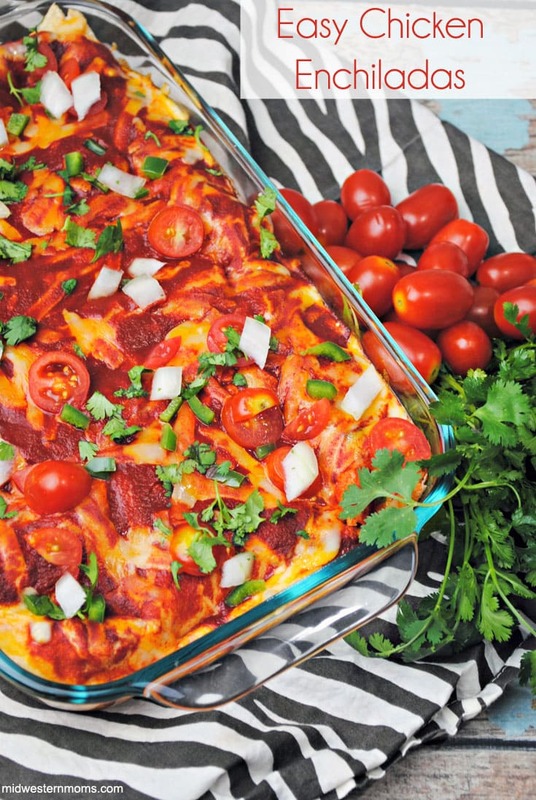 A deliciously easy chicken enchiladas recipe using rotisserie chicken. Picking the meat off the bones of the rotisserie chicken is the largest part of the prep time. Other than that, they are super easy to make! 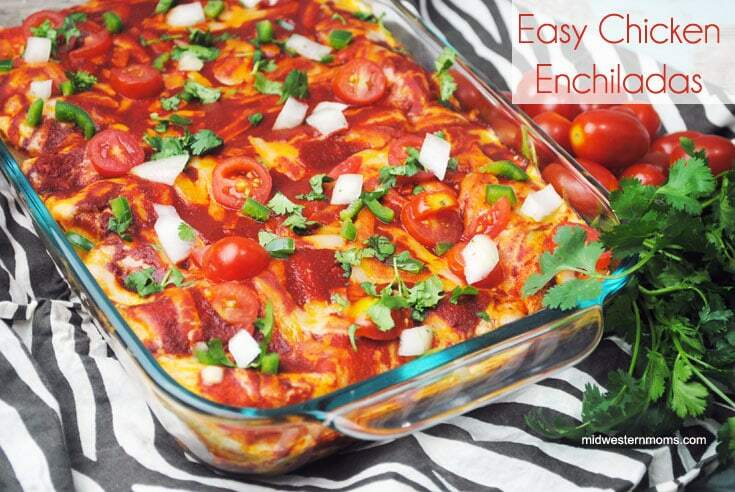 If you are looking for a different kind on enchilada recipe, try our Easy Cheese Enchiladas Recipe. 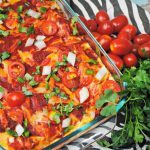 Simple Enchilada recipe that uses rotisserie chicken! In a large bowl combine your chicken, Jalapeños, cilantro, onions, and 1 cup of Colby-Jack cheese. Add your chicken mixture to each tortilla. Make sure you don’t over fill it, you need to be able to roll the tortilla. Roll up each tortilla and place them seam side down in a greased or non-stick spray 9 x 13-inch baking dish. Garnish with chopped fresh cilantro, baby tomatoes, onions, and minced jalapeños. I will cook this dinner this week. Sounds yummy.